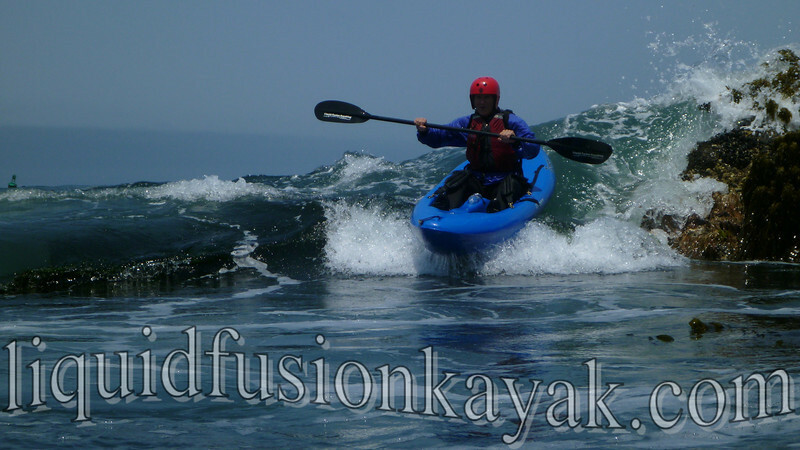 Liquid Fusion Kayaking: Whitewater of the SEA!!! 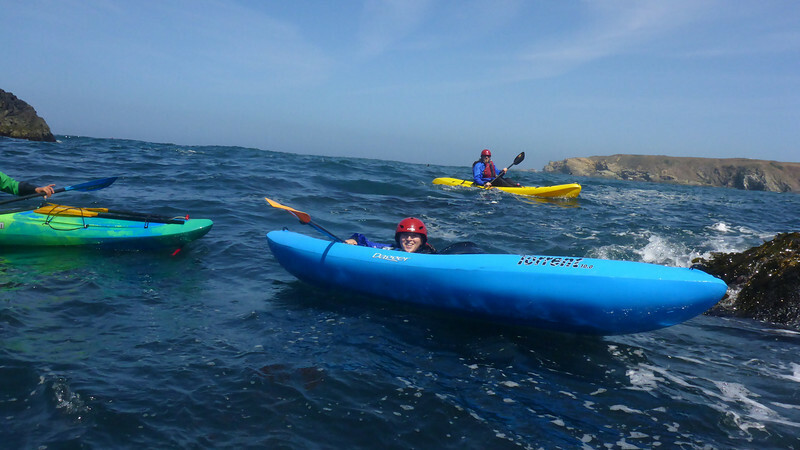 Whitewater of the Sea is an ocean kayaking adventure that Jeff and Cate created to introduce the fun of kayaking and playing in ocean rock gardens. Essentially it is a 3 hour kayak lesson/tour. The first hour is skills instruction and the next 2 hours are guided play. Playing in the whitewater of the sea!!! Typically 4 students is the maximum number that we take for a quality experience. With small numbers, we can customize the trip to the interests and skills levels of the participants. 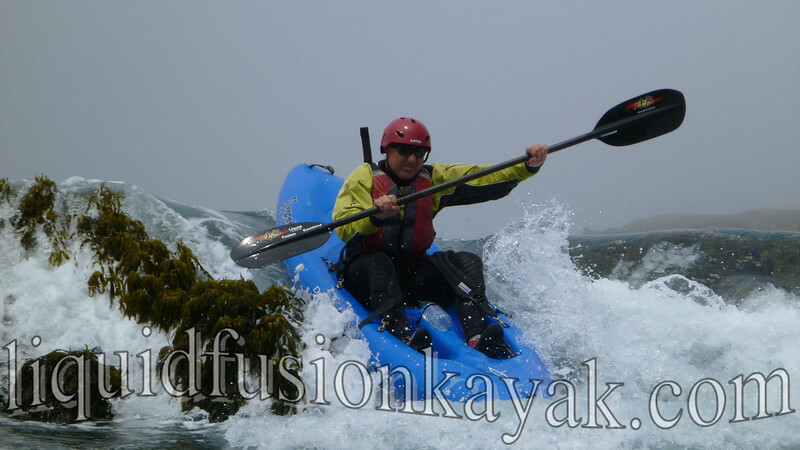 We use sit on top whitewater kayaks for novices because their maneuverability and ease of use. Experienced kayakers who have a reliable roll have the option of using one of our sit on tops or a decked whitewater kayak. Participants do not need previous kayak training to go on this adventure but must be good swimmers, willing to get wet, and be moderately fit because this is an in and on water adventure. We think that this is one of the best ways to learn to kayak in ocean rock gardens. The maneuverability of the whitewater kayak allow us to easily negotiate narrow rocky passages including sea caves and helps us get students playing in the rock garden features way faster than in other craft. It is not uncommon for us to have first timer's riding pour-overs on their first ocean kayaking trip. Gail riding a pour-over on her first ocean kayaking adventure! We typically run this adventure at a Class II Level. Based on a whitewater river classification of I-VI, Class II is fun water with challenges but low level of threat. Students get to learn without fear and lots of fun. Here's a video of some of Whitewater of the SEA. Jeff and Cate are both certified whitewater and sea kayak instructors. 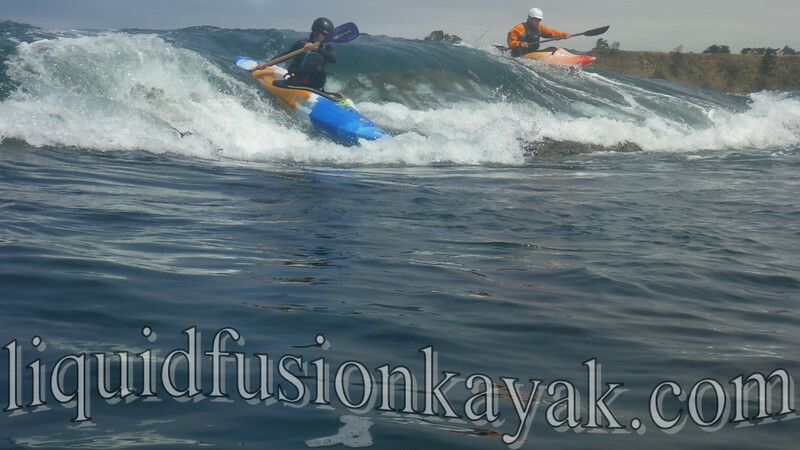 We teach sea, whitewater river, and surf kayaking in our home waters of Mendocino County and are guest instructors at symposiums including Golden Gate Sea Kayak Symposium and Lumpy Waters. We love teaching rock gardening because it is Liquid Fusion Kayaking - fusing the elements of sea, whitewater, and surf kayaking into FUN!!! Of course, we do know how to take it up a notch or two as well. This spring, we got to team up with Sean Morley and Jackson Kayaks to film the promo video for the Jackson Kayak Karma RG. Check it out here.